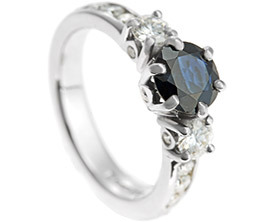 Heather and Barry wanted to create an engagement ring that used a diamond Heather had inherited from her father when he passed away. 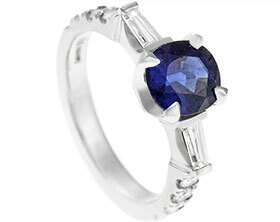 The original ring was bought many years ago when Heather's father lived in Ireland but it had never worn by any of the family members and had always remained stored away. 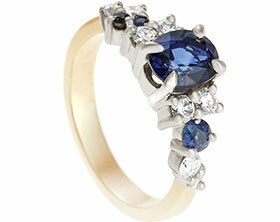 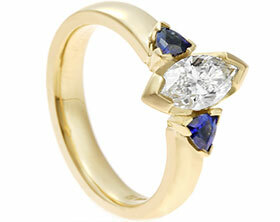 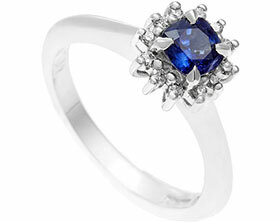 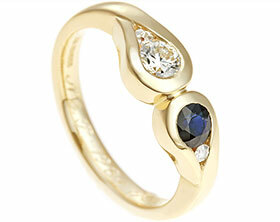 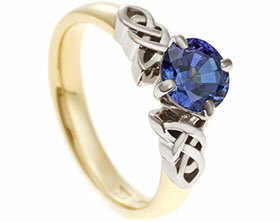 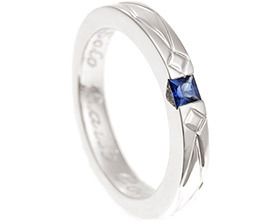 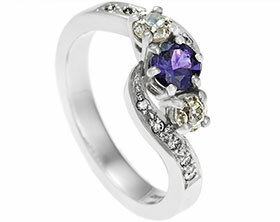 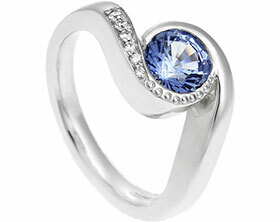 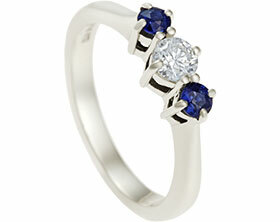 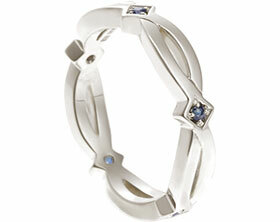 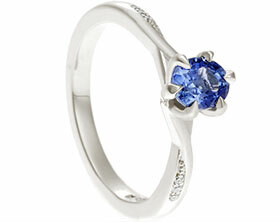 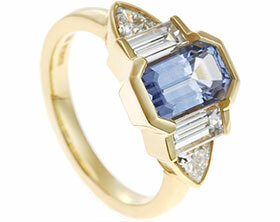 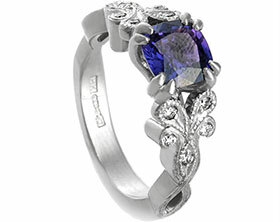 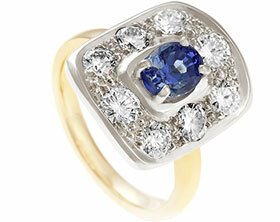 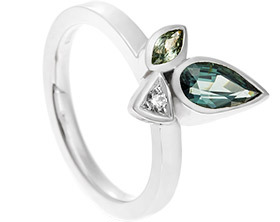 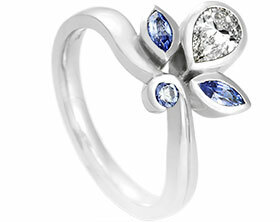 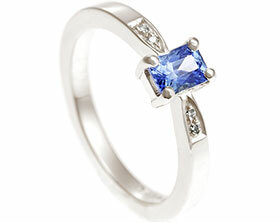 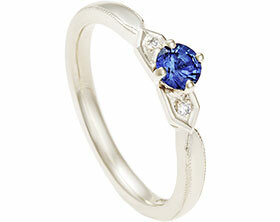 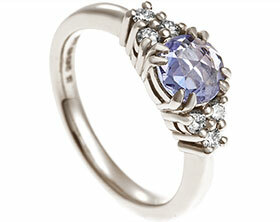 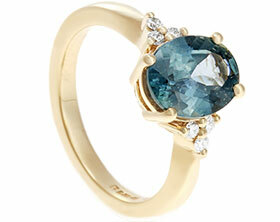 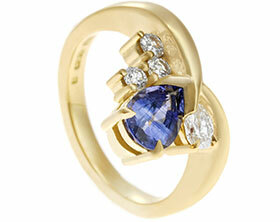 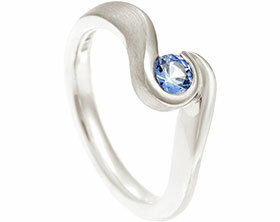 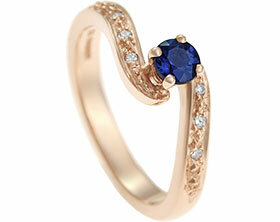 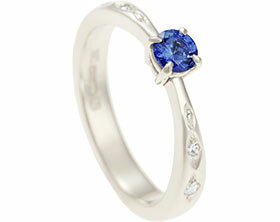 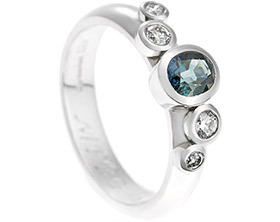 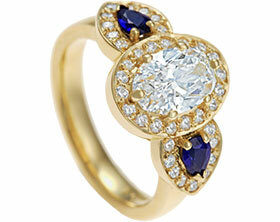 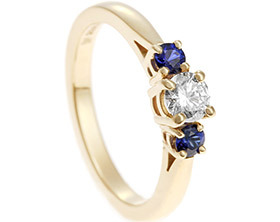 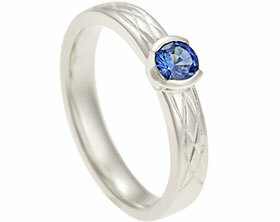 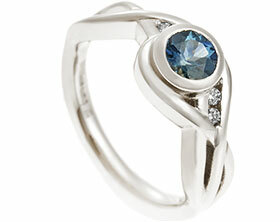 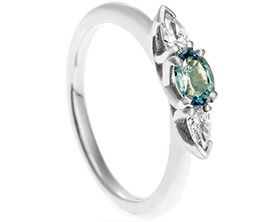 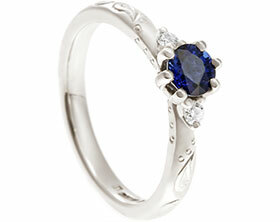 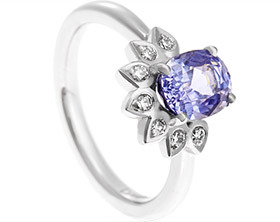 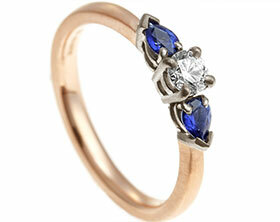 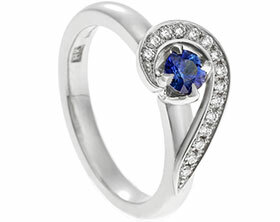 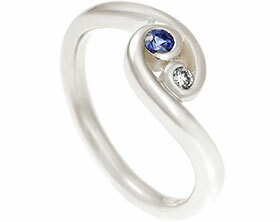 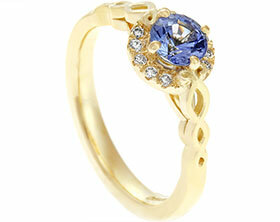 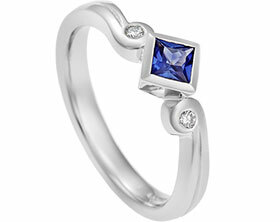 To bring new life into the diamond it was decided to have the ring redesigned. 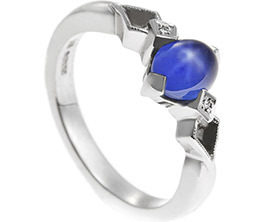 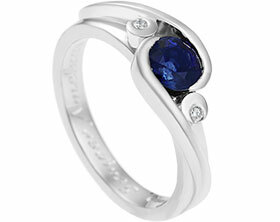 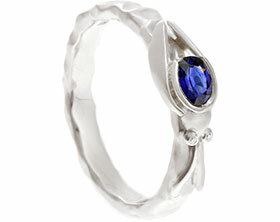 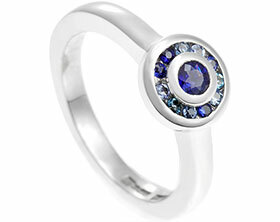 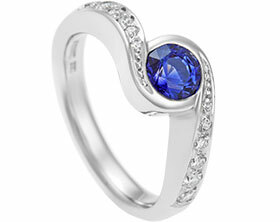 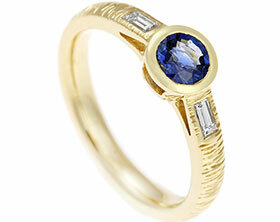 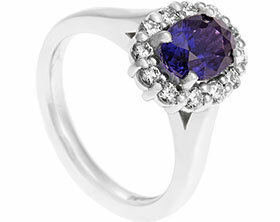 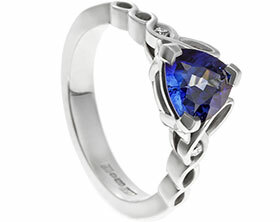 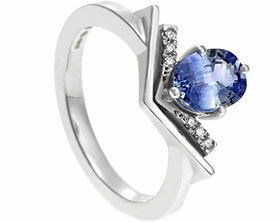 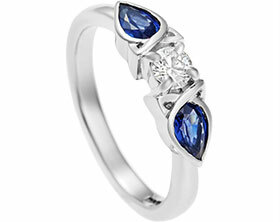 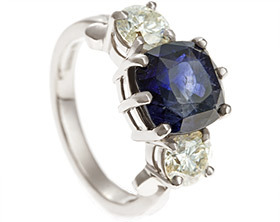 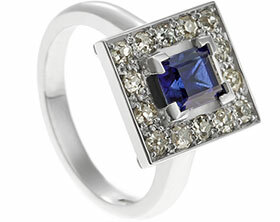 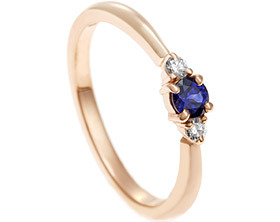 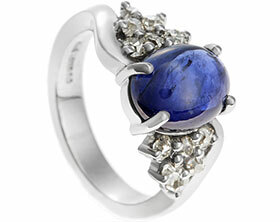 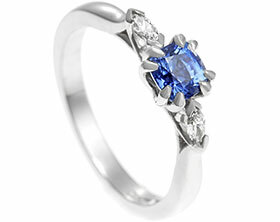 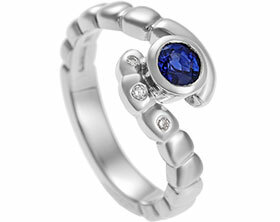 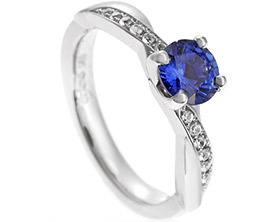 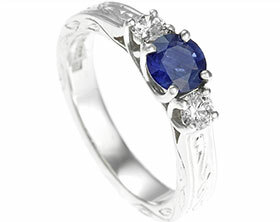 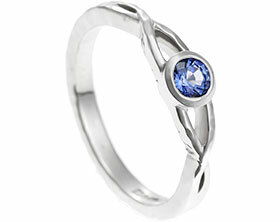 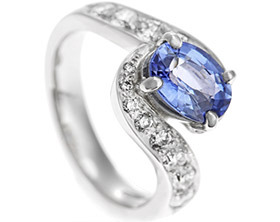 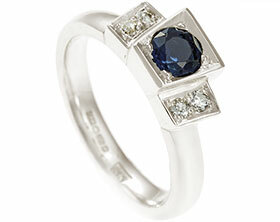 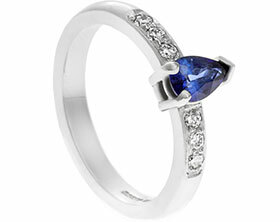 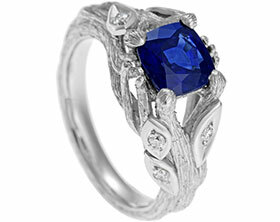 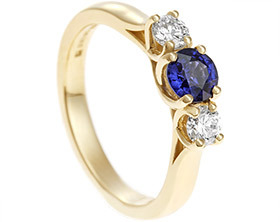 After much thought, Heather decided that she loved the dark blue colour of a sapphire which contrasted against her diamond. 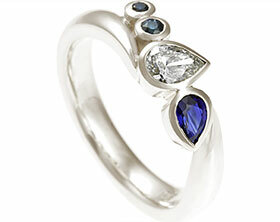 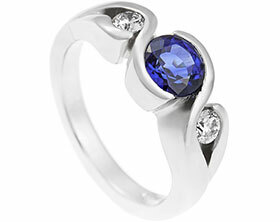 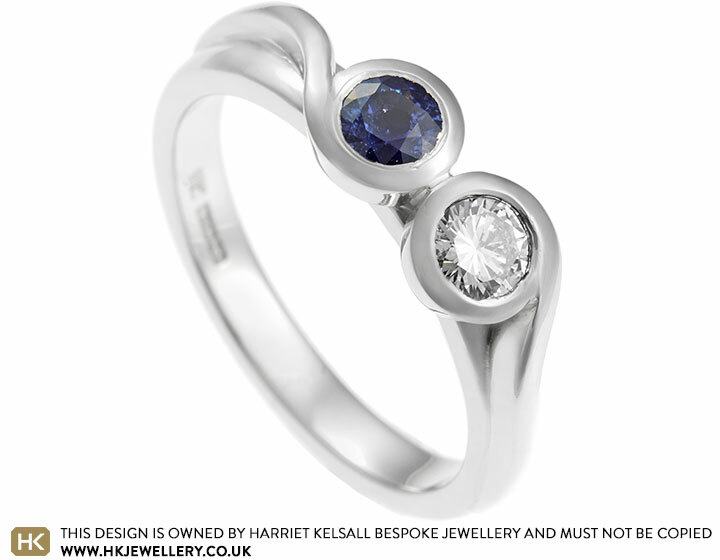 The new design features her diamond nestled against the sapphire in opposite twisting all round settings, bringing together the old and the new. 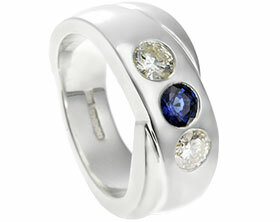 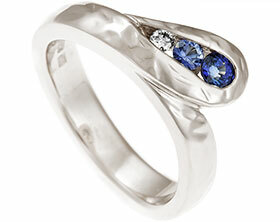 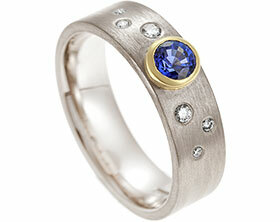 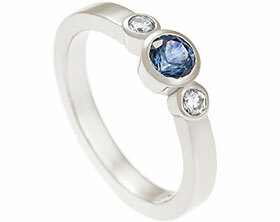 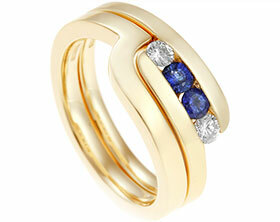 The stones sit in a 3mm wide palladium band that has a gently curved profile, this is finished with a bright polish.